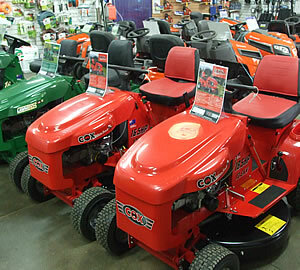 Schmidt's Mowers and Chainsaws are pleased to be the local distributers for the extensive range of Cox products. Proudly Australian, Cox Mower, Garden care products and accessories are backed by quality service, parts and accessories from one of Australia's biggest network of dealers. plus the Cox Chipper/Shredder - - 4 stroke power that eats branches, prunings and garden waste - then turns them into nutritionally rich, environmentally friendly garden mulch. We are an Authorized Dealer for many brand names in the Outdoor Equipment industry, including Briggs & Stratton, Cox, Husqvarna and Atom.